Cosmetic dental surgery, namely dental implants, require the implementation of highly advanced technology from start to finish; from conception to installation. Friedman Dental Group operate within three highly integrated treatment facilities in Florida, each of which is equipped with state-of-the-art technology for dental implants. You can visit the surgery most convenient to you, and everything from your consultation to your dental implant treatment will be conducted under one roof, providing you with the ultimate in convenience. 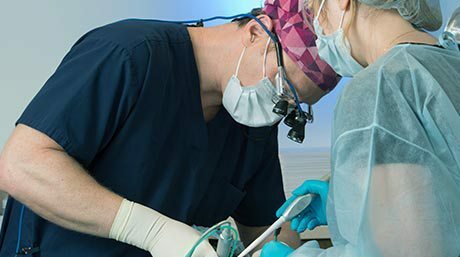 Using the most recent technology at all stages of the procedure, we are able to provide the highest quality dental implant treatment available. What Technology Is Required For Dental Implants? Highly advanced All-On-4 Teeth In One Day technology is required for dental implants, at all levels of the procedure, from the planning to the installation. Our integrated facilities in South Florida are fully equipped to accommodate dental implant treatments at all stages. During the initial consultation, our specialists will discuss your medical history and current situation with you and take a look at the options available for treatment. A free dental implant CT Scan is taken at this point, which allows us to gain a precise picture of your mouth. The CT scans set the standard for dental practices elsewhere. They emit very little radiation while offering a very high resolution for our diagnostics. The CT Scan allows us to evaluate the quality of the bone where the implant will be placed, determine the method of treatment, and determine the placement and size and shape of the implants. Dental implant procedures require meticulous planning. 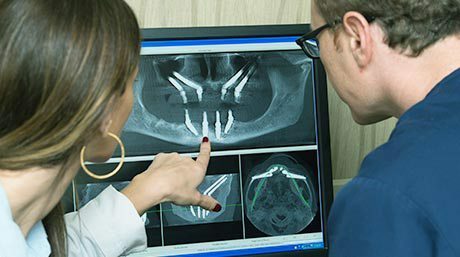 From the CT scan that we took, we can determine the exact dimensions and plan for your implants, to make sure they fit your mouth correctly and comfortably. We use the latest in CAD and CAM to design the perfect implants. We have scientific dental laboratories integrated into our facilities, so the creation of your replacement teeth can happen right here in our surgery. Our dental experts carry out all of the lab work before your scheduled treatment date to craft the perfect implants and replacement teeth. When it comes to the day of the surgery, you want to know that you are in safe hands. 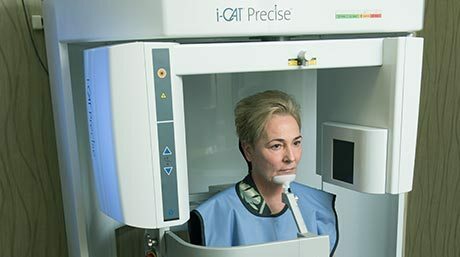 Our highly trained and experienced specialists are working with the most advanced procedural equipment available, and have all of the tools and technology on hand to help them to carry out the surgery. All of the technology that we use to carry out successful dental implant treatments is contained within our integrated treatment facilities in South Florida: Coral Springs, Plantation, and Palm Beach. You can visit whichever clinic is most convenient for you, and receive all aspects of the treatment in one place. With highly trained and experienced prosthodontists, and the latest and greatest dental implant technology at our disposal, Friedman Dental Group brings you unmatched customer care and service. Contact us today to find out more, or to arrange a free dental implant dentist consultation.